Invest in your future by developing cross-cultural skills that will enable you to communicate with colleagues anywhere in the world. Learn how to function in a culturally diverse environment early on. Develop broader skills and the ability to adapt to new environments. See your culture and yourself from a different perspective. Learn to appreciate other languages and cultures, while better understanding your own values. You do not need to speak another language to study abroad. Many programs offer courses in English. For more information about studying abroad, visit the education abroad website. 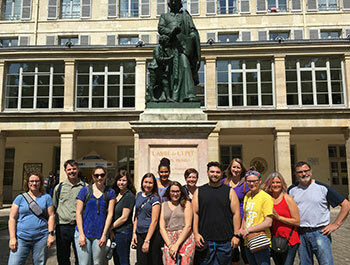 For elective credit, consult with a study abroad advisor.